Cross, Michael S. and Robert L. Fraser. "Robert Baldwin". The Canadian Encyclopedia, 26 September 2017, Historica Canada. https://www.thecanadianencyclopedia.ca/en/article/robert-baldwin. Accessed 23 April 2019. 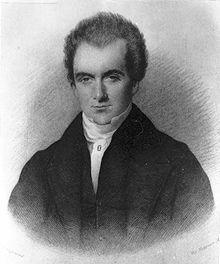 Robert Baldwin, lawyer, politician, office holder (born 12 May 1804 in York [Toronto], Upper Canada; died 9 December 1858 in Yorkville [Toronto], Canada West). 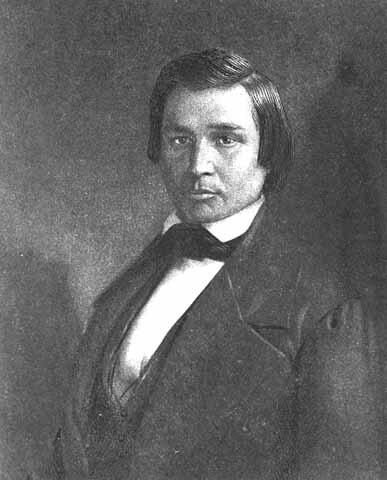 The eldest son of William Warren Baldwin, Robert was called to the bar in 1825. Temperamentally and intellectually unlike his gifted father, the shy, introspective Robert entered politics in 1829 as a Reformer, winning a seat in the Assembly in a by-election. Defeated the following year he retired to private life. Melancholic, withdrawn, tortured by doubts and demons, his life and happiness revolved around his family and most especially his wife (they were married in 1827). Her death on 11 January 1836 shattered him emotionally and may explain the severe depressive illness that plagued him in later years. Despite his grief and a profound distaste for public life, he was impelled to accept office as an executive councillor the following month by his Christian sense of duty. 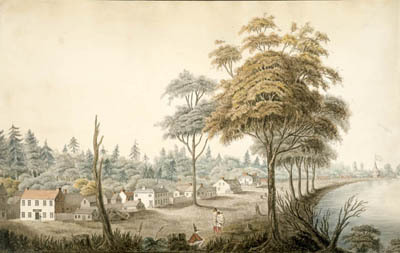 The resignation in March 1836 of Baldwin and the other councillors over Lieutenant-Governor Francis Bond Head’s refusal to consult them plunged the colony into the gravest political and constitutional crisis prior to the Rebellions of 1837. Baldwin remained neutral during the uprising. In its aftermath, he and his father met briefly with Lord Durham during Durham’s visit to Toronto in July 1838. Baldwin then submitted to Durham a detailed memorandum dealing with the principle of responsible government, which probably influenced Durham’s adoption of the principle in his famous Durham Report. Baldwin became the rallying figure in rebuilding the post-rebellion Reform opposition and forging an alliance with Louis-Hippolyte LaFontaine’s Lower Canadian Liberals. Although not a natural politician or a towering intellect, Baldwin commanded respect and exercised moral leadership by reason of his character. In a pre-industrial society that revered the code of gentlemen, he embodied the cherished virtues of adherence to honour, duty and principle. Each time he gained office he left it by resignation rather than compromise his principles. In 1841, Baldwin was solicitor general in Governor General Lord Sydenham’s ministry and an executive councillor. He resigned that June when the governor refused to implement responsible government. In the Assembly, Baldwin and LaFontaine steadily attracted members to the cause of responsible government until they had built a majority. They attained office in 1842–43 and again in 1848–51, the latter the so-called “Great Ministry.” The first government was active and successful, but a conflict with Governor Metcalfe over his refusal to consult them on patronage led to their resignations in November 1843. During this and the subsequent ministry Baldwin served as co-premier and attorney general. In the second ministry, his great accomplishments were the formal attainment of responsible government and its confirmation during the Rebellion Losses crisis of 1849, the establishment of University of Toronto, reform of the Upper Canadian judiciary, and establishment of an adequate system of municipal government in the upper province. Baldwin’s hold on power was weakened, however, by a left-wing revolt in the party (by the Clear Grits), by his own deteriorating health, and by differences over economic policy with Francis Hincks. Discouraged and wracked by depression Baldwin resigned on 30 June 1851. Later that year he sought re-election but was defeated. The tormented figure withdrew to his home, to give himself over to the rituals of his preoccupation with his dead wife. As a man Baldwin was little understood or loved by contemporaries, or historians. He had failed to preserve the social order he sought to defend, but his reputation is secure as the popularizer of responsible government and one of the first, if not the first, proponents of a bicultural nation. J.M.S. Careless, ed, The Pre-Confederation Premiers (1980); M.S. Cross and R.L. 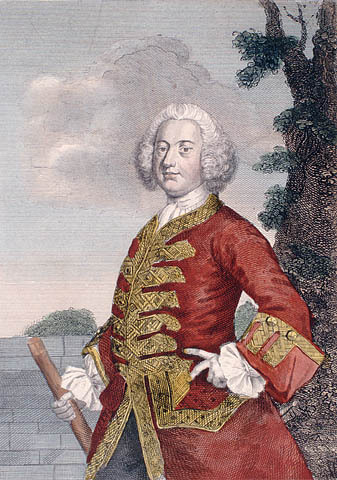 Fraser, "'The Waste that Lies Before Me': The Public and the Private Worlds of Robert Baldwin," Historical Papers (1983).